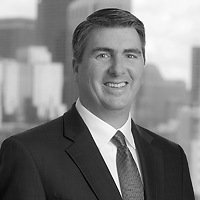 John G. Loughnane, a partner in Nutter’s Business Department, will serve as a speaker at American Law Institute’s (ALI) “Modern Real Estate Transactions 2017” program on August 10-11. This comprehensive program provides an in-depth look at commercial real estate transactions in today’s market. John will present on the “Leases in Bankruptcy” panel on August 10, discussing topics such as maximizing a lease claim, clear channel issues, and letters of credit. John will also present on the “Recent Trends in Real Estate Bankruptcy Cases” on August 11. Topics will include single asset cases, credit bidding, individual bankruptcy cases, absolute priority rule issues, sales in bankruptcy cases, and automatic stay. ALI’s 49th annual advanced course and live video webcast is considered the seminal course for commercial real estate attorneys of all experience levels looking for real-world advice from experienced practitioners on structuring and negotiating commercial real estate transactions and advising clients on real estate ownership, management, and operation. In addition to maintaining its traditional scope of modern commercial real estate practice—acquisition, due diligence, construction, financing, joint ventures, leases, title insurance, management, and disposition—the program offers cutting-edge analysis of the most vexing issues in real estate transactions today. The American Law Institute (ALI), founded in 1923, is the leading independent organization in the United States producing scholarly work to clarify, modernize, and otherwise improve the law.